Female in Formula One racing soon. Prime Minister Ranil Wickremesinghe has called for the ‘Hub of the Indian Ocean’ concept to be adopted as the policy platform for Sri Lanka’s maritime cooperation. This concept has become the ideal platform to address many policy bottlenecks that Sri Lanka encounters today, be they related to transportation, trade, foreign direct investment, security, or even issues of urbanisation and environmental degradation. This article covers some of the vital changes in the Indian Ocean that will prompt Sri Lanka to drive its economic and foreign policy towards a new direction emphasising maritime cooperation. Sri Lanka, situated at the centre of the Indian Ocean, has a geographically advantageous setting that can make strategic use of Indian Ocean maritime trade links, thereby placing the country as a potential beneficiary of the current ‘global shift’ of power from West to East. According to the Lakshman Kadirgamar Institute (LKI) - Sri Lanka’s leading foreign policy think tank - the population in the 28 Indian Ocean states earning less than US$ 1 a day (the international poverty line) is estimated to decrease from 12 percent in 2017 to 7 percent by 2025. Such poverty reduction is, of course, dependent on these economies continuing to benefit from open maritime trade. Is it any wonder then, that the Indian Ocean’s maritime relations could be considered an archetype for how freedom of navigation and maritime trade can shape regional prosperity? Sri Lanka is indeed blessed to be at the centre of this thriving maritime environment, which has created enduring links between the Indian Ocean and its economy. Sri Lanka only stands to progressively benefit from the continuation of such peaceful maritime links into the future. On the other hand, with the recent ‘global shift’ in power, with the US seeking to rebalance towards Asia, there is also an impetus for Sri Lanka to carry out some serious maritime policy planning. Amidst the growth of such geopolitical and economic dynamics, this article details some of the opportunities that Sri Lanka successfully exploited in the past, which can inspire its future course on maritime policy. The key historical lesson from the Indian Ocean is its tremendous importance to global trade and economic cooperation, going all the way back to the second millennium BC. In this narrative, Sri Lanka played a major role and arguably, continues to do so. By building itself up as a transit point in the trans-continental sea trade connecting Europe, the Middle East, East Africa, India and Southeast Asia, Sri Lanka became a significant player in the Indian Ocean. This great trading legacy brought great wealth to the country. As the Mahavamsa indicates, the diffusion of Buddhism from India to Sri Lanka was primarily facilitated by ancient maritime trade routes. Many other forms of evidence have shown that Sri Lanka’s strategic geographic centrality enabled maritime transactions in terms of both trade and cultural exchanges since at least the 2nd century BCE. The country’s significance in the global trade of the time is apparent in Ptolemy of Alexandria’s world map. Many other seminal research works on Sri Lanka’s ancient maritime trade have pointed out the flourishing trade based on the ‘maritime silk route’ that connected Europeans, Arabs, Indians and Chinese. This body of research has also referred to the excellence of ancient Sri Lanka’s maritime engineering relating to the construction of ships, ports and other maritime infrastructure. In addition, during the entire period of colonial rule under the Portuguese, Dutch and British, respectively, Sri Lanka played a tremendously important role in regional maritime trade. Later, in 1971, the world’s first female Prime Minister, Sirimavo Bandaranaike, tabled the Indian Ocean Zone of Peace (ZoP) proposal at the United Nations, which was adopted as UN General Assembly Resolution 2832. Since then, Sri Lanka has made a case for the strategic independence of the Indian Ocean. President Jayewardene’s government, as said earlier, made efforts to maintain the status quo in the Indian Ocean. Sri Lanka therefore upheld a non-aligned approach towards the Indian Ocean for many years. In addition, by signing the ‘Sri Lanka-India Agreement on the Boundary in Historic Waters’in 1974, Sri Lanka succeeded in demarcating its maritime boundary in the Palk Strait, Gulf of Mannar and the Bay of Bengal, endowing the country with a legally grounded maritime security. With the acquisition of a territorial sea area of 21,500 km2 and an Exclusive Economic Zone (EEZ) of nearly 517,000 km2, Sri Lanka has succeeded in obtaining a significant resource base that can strengthen the country’s economy and broader security. Given this history of maritime trade, strategic location, and vast maritime entitlements, Sri Lanka should naturally play a greater role in the Indian Ocean. As explained by LKI Executive Director Dr. Ganeshan Wignaraja, “Maritime trade has the potential to transform the Indian Ocean into a new global growth pole. At present, the region is host to 35 percent of the global population, but only accounts for 13.1 percent of global trade.” This reinforces that argument that a country’s economic growth is heavily dependent on its trade. This argument is especially valid for Sri Lanka, since some of the most successful sectors of the Sri Lankan economy are based on maritime trade, especially port services relating to container cargo shipment, trans-shipment and related services. 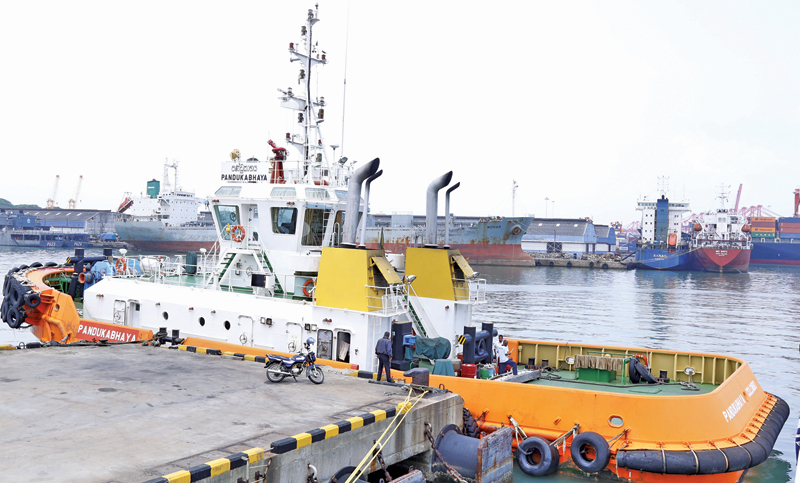 In addition, the Colombo Port is ranked 13th in the world according to the Drewry Port Connectivity Index. 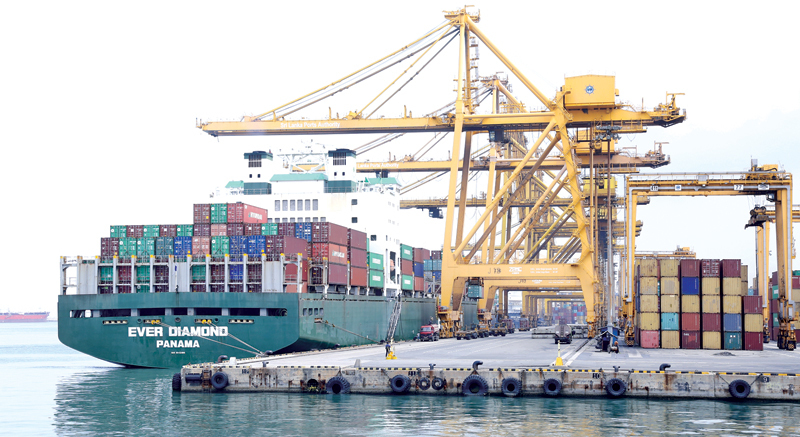 Sri Lankan port development has also expanded to Hambantota with the joint venture with China Merchants Ports Holdings and will potentially expand to Trincomalee with Japanese development assistance. Sri Lanka also took over the chairmanship of the Bay of Bengal Initiative for Multi-Sectoral Technical and Economic Cooperation (BIMSTEC) in 2018. This has provided an opportunity to develop economic ties that can benefit maritime industries and boost cooperation on protection of the marine environment. 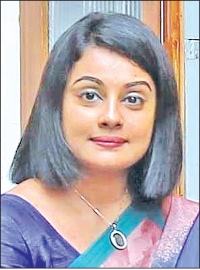 In addition, as a member state to the Indian Ocean Rim Association (IORA), Sri Lanka can also play a vital role in promoting strategies for maritime cooperation that would seek to maintain the Indian Ocean status quo and create win-win outcomes for both regional and extra-regional states. Another important strategic direction that Sri Lanka could engage in is the rapidly developing ‘marine city’ concept, which would significantly boost trade and tourism by marketing itself as an attractive destination with incentives for foreign businesses. This elaboration is in line with the ‘global power shift’ evident from various strategic developments in the maritime domain. There is of course the question of whether these developments can help South Asian states overcome the effects of the ‘big-brother syndrome’ in relation to India. To tackle this issue prudently, India’s ‘Neighbourhood First’ policy has been carefully crafted to minimise strategic mistrust among its neighbours. Another important power change is the growing US interest in the Indian Ocean, evident from the coining of the ‘Indo-Pacific’ term. This shift has led to increasing security cooperation between the US, Japan, Australia and India, and to stricter surveillance of the Straits of Malacca and Straits of Hormuz to ensure the security of these chokepoints. At the same time, it is impossible to forget the continuing role of China’s Belt and Road Initiative (BRI), which has already invested billions in the region and carved out a Chinese strategic presence in the Indian Ocean. The enormous economic potential of the Indian Ocean and these growing strategic developments have prompted Sri Lanka to begin working on a well-planned maritime policy. Such policy is essential to safeguarding Sri Lanka’s national interests as it faces strategic competition between the great powers in the Indian Ocean, and considers ways and means of maintaining regional peace and stability to ensure its economic growth and future prosperity. “The Indian Ocean: Defining Our Future” Track 1.5 International Conference begins in Colombo today and will continue tomorrow.